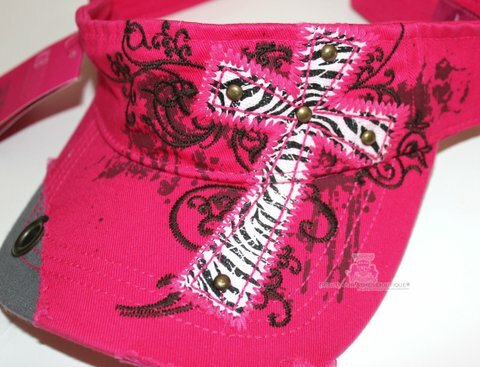 Women's Visors in YOUR CHOICE from the above drop down menu. 100% Cotton. 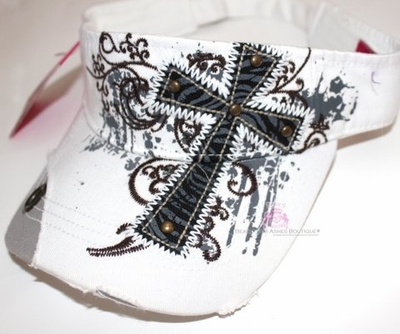 Visors in Black, Hot Pink, White, and Turquoise feature a grommet on one side slightly rustic style and a decorative cross with several metal studs embedded in it. Back is adjustable, with a metal belt buckle in the back which holds the adjustment into place.